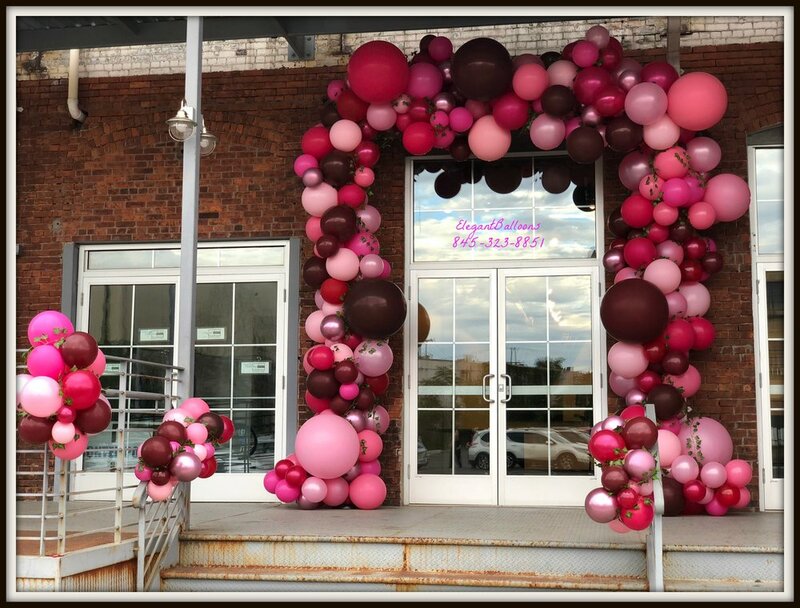 Elegant Balloons is a full service event decorations company servicing the New Jersey and New York City metropolitan area. Our Award winning certified decorations specialists can create a magical environment for your next special event. Check out our gallery for examples of our work and email or call us on 845-323-8851 to learn how we can "Wow" the guests at your event. Experience the difference with our award winning team of creative professionals who have redefined customer service in the event decorations industry. We deliver balloons 7 days a week! So honored and humbled to be chosen as on of the Influencers of 2018 by my peers. We are thrilled to be a part of this wonderful publication by Pioneer Balloon Company. Thank you to Qualatex balloons and to all who voted for us!! We will be teaching in Tennessee On October 11, 2019 - Come join us! We offer Balloon Decorations in: New York, New York City, NY, NYC, Manhattan, Brooklyn, The Bronx, Bronx, Queens, Yonkers, New Rochelle, Rockland County, Westchester County, New Jersey Balloon Decorations, NJ, New Jersey, North Jersey, Central Jersey, Morris County, Passaic County, Bergen County, Essex County, Sussex County, Hudson County, Morris County,Somerset County, Union County, Warren County, Hunterdon County, Mercer County, Middlesex County, Monmouth County, Orange County. Morristown, Pinebrook, Denville, Parsippany, Mountain Lakes, Randolph, Boonton, Saddle River, Allendale, Paramus, Livingston, Union, Nanuet, Pearl River, Blauvelt, Orangeburg, Palisades, West Nyack, Stony Point, Goshen, Harriman, Wykoff, Montvale, Northvale, Hillsdale, Westwood, Emerson, Bergen, Alpine, Norwood, Woodcliff lake, Hackensack, Fairfield, Maywood, Creskill, Cliffside Park, Clifton, Closter, Piermont, Demarest, Edgewater, Elmwood Park , Englewood, Franklin Lakes, Garfield, Glen Rock, Haledon, Mahwah, Midland Park, Moonachie, Mountain Lakes, Oakland, Old Tappan, Oradell, Ramsey, Park Ridge, Pompton Lakes, Ridgewood, Riverdale, River Vale, Rochelle Park, Saddle Brook, Rockleigh, Washington Township, Woodland Park, Northern Valley, Wayne .